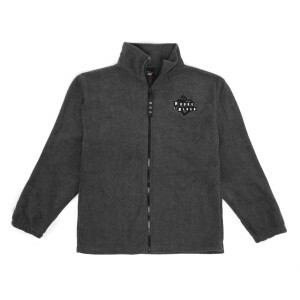 This light weight charcoal grey fleece is a full zip-up jacket made from 100% polyester. It is embroidered with our classic House of Blues logo on the front left chest. This zip-up is made in the U.S.A.